True Full Motion 3D TV Mount for TVs size 13-47"
Click the button below to add the TRUE 3D Full Motion TV Mount for TV 13-47" (LDA08-442) to your wish list. This brand new innovative mount is a FreeShipMounts.com exclusive. 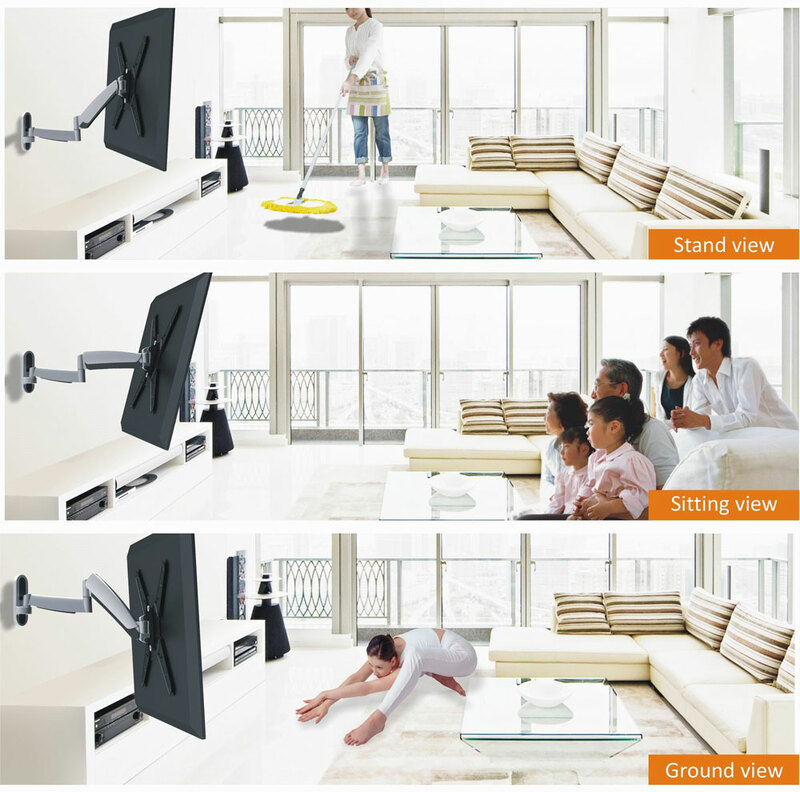 True 3D full motion is achieved with an arm that adds BOTH VERTICAL movement as well as horizontal movement to the TV. Truly the first in its kind. This elegant mount is constructed with solid steel, elegant die cast aluminum and integrated with an innovative counterbalance technology. TRUE 3D Motion: TV arm pull in/out, adjusts up/down.